We would like to thanks Notts County Football Club and all the people from the Club for giving us a warm welcome. They made us feeling at home and we had the privilege to walk on the pitch before the game, to meet the new chairman Alan Hardy and Alan Smith. We've appreciated every little gesture like the customized ticket. It's great to be part of the family! Hope to see you again very soon. A special thanks to all the people who came to say 'Hi' or just to shout 'Forza Juve'. 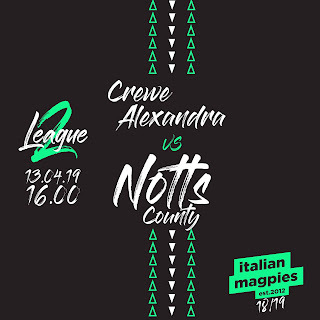 We all have the duty to keep Notts County and Juventus close and even closer day by day. This is a supporters' call, not a Clubs' one.